Looks innocent enough, right? Wrong! It’s a vicious beast when it starts getting aggravated. Plantar fasciitis is simply the inflammation and eventually degeneration of the plantar fascia. This generally occurs over time as microscopic trauma (that’s microtrauma for you scholars out there) accrues in the plantar fascial tissue. The trauma occurs because the plantar fascia is getting over-stretched or overworked every time a step is taken, and eventually our body responds by swelling (and causing it to hurt). Common signs and symptoms of plantar fasciitis include pain in the heel immediately upon arising in the morning, as well as pain with prolonged standing or walking activities. 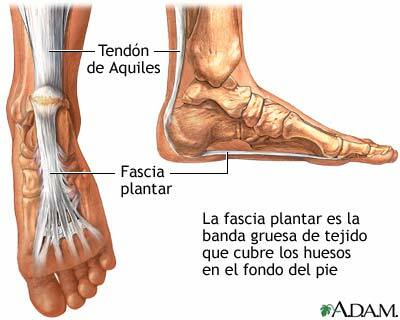 So what can cause plantar fasciitis? Foot Arch – Oftentimes a main contributor to plantar fasciitis is either having too high or too low of arches on the inside of your foot. If your arch is too high, the plantar fascia absorbs TOO much shock, and begins to break down. If your arch is too low (AKA overly pronated), then the fascia gets stretched (as I alluded to before), and breaks down that way. Either way it hurts. Weakness in the proximal (hip and thigh) muscles – believe it or not, but even weakness around the hip and knee can be major contributors to plantar fascia issues! This is because all the hip and thigh muscles have specific responsibilities while we are walking, and if they become too weak to perform said responsibilities, our foot may take on that extra burden. Don’t believe me? Read this article! Don’t want to read a six page scholarly article? Then read this short excerpt from it! Remember how I said poor shock absorption and over pronation can cause plantar fasciitis when I was describing foot arch? Well weakness in the hips can cause the same types of stresses! Age – Unfortunately, as we age, our tissue tends to dehydrate and not respond as well to stretching. While this is one risk factor that is non-modifiable, fortunately the other factors can be changed. Obesity – Simply put, the more we weigh, the more stress we will put on our plantar fascia. The conundrum with this, of course, is that when your feet hurt, it’s tough to motivate yourself to exercise, as many types will just make the feet hurt more. Overuse – Plantar fasciitis often occurs with people who are standing and walking all day. For this group, it is vital to ensure the modifiable risk factors are being addressed, as their job may depend on it! While there are other factors that can lead to plantar fasciitis, my experience has been that one or many of these problems ends up contributing to plantar fasciitis symptoms. The good news is that basically all of these problems are modifiable. As physical therapists, we derive joy in figuring out what the true root of your problem is, then helping you figure out how to get through it so you can return to your normal life activities. Typical therapy treatments for plantar fasciitis include soft tissue mobilization, joint mobilizations, a custom foot orthosis if needed, and a tailor-made exercise program for your specific impairments. 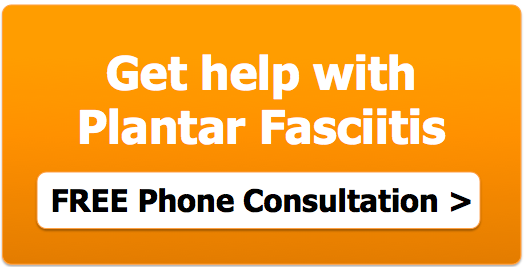 If you have plantar fasciitis or want to discuss in further detail what can be done to treat your condition, don’t hesitate to either email me or set up a phone consultation with one of OSI’s physical therapists! We look forward to hearing from you!